The index opened positive around 8779 but saw huge unwinding on Expiry day with all up-move sold with ease to close near the lows of the day at 8683.85, huge loss of 83.40 points. The broader market was also weak, with 440 advances to 1037 declines. Developing Range as per Option Table at start of series comes to 8500-9000. Call option 8700-9400 added huge 28.26 lacs OI with small short covering seen at 8300 strike price. Put option 9000-8200 added huge 24.14 lacs OI with profit booking seen at 8100 strike price. 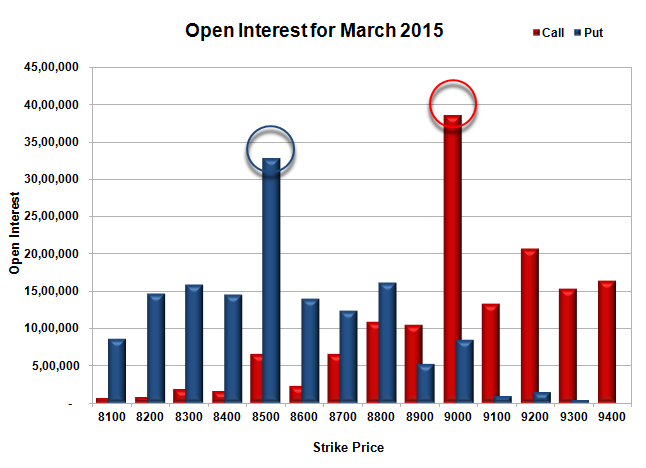 Nifty Open Interest is at 2,39,84,825 up by 42,18,625, with decrease in price, 100% rollover with huge short build-up. 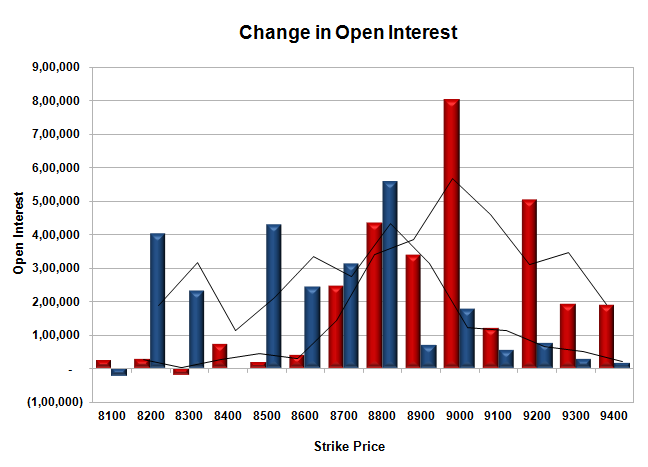 Bank Nifty Open Interest is at 20,57,175 up by 9,86,550, with decrease in price, 100% rollover with huge short build-up. FII’s sold huge 7.57 lacs Futures, which includes 150513 contracts long liquidation and 138771 contracts short covering, with decrease in net OI by 289284 contracts (includes 176334 longs to 206606 shorts for the day) and the Average Price comes to 8709.76. FII’s Index future open contract as on date is 688987 Longs to 121617 Shorts, net long 567370 down by 11742 contracts. Initial and best support at 8500, with OI of 32.80 lacs. Initial and best resistance at 9000, with highest OI of 38.62 lacs. 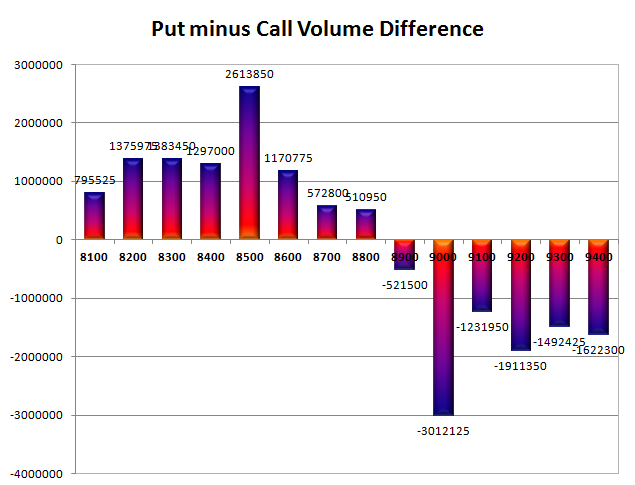 Day Range as per Option Table is 8630 - 8785 and as per VIX is 8590 - 8777 with 8713 as the Pivot.